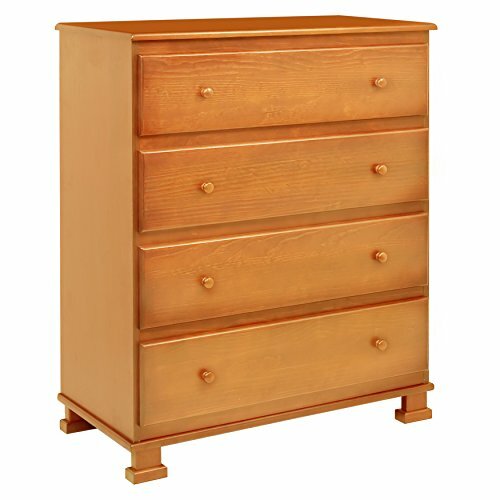 The classic Parker Dresser provides four roomy drawers and ample amounts of space for all of baby's things. Metal drawer glides ensure drawers open and close smoothly, and stop mechanisms keep them from being pulled out. The dresser's modest design matches DaVinci's Parker, Reagan and Thompson cribs. The redesigned DaVinci Parker 4 Drawer Dresser is now improved with reinforced drawers and easier assembly. If you have any questions about this product by DaVinci, contact us by completing and submitting the form below. If you are looking for a specif part number, please include it with your message.